Saturday was a fantastic day, despite the torrential downpours here in Brooklyn. I teamed up with photographer Alejandro Cerdena (www.alejandrocerdena.com) for a collaborative shoot. It's been two and a half weeks of mad-dashing to book the team, coordinating jewelry pick-up, and buying shoot-specific accessories. We had an amazing team on the day with Tina Georgy on makeup & hair and Melanie Randolph as stylist. Modeling was Sammie Smith. Remarkably, this girl isn't signed with an agency yet! Jewelry was provided by local Brooklyn designer Paz Sintes. The pieces are hand crafted from French and Italian haute couture lace and Japanese laser-cut silk. 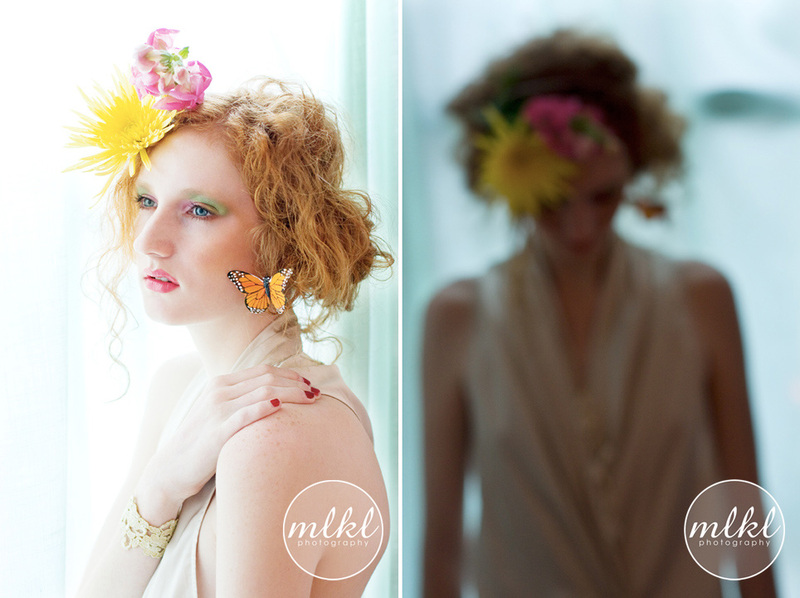 It was everything a collaborative shoot should be - half as much effort and twice as much fun! Collaborative shoots have the potential of going wrong in so many ways, but Ale and I had a profound creative chemistry. Ping-ponging off each other's ideas, even shooting at the same time, and all the while being 100% supportive of each other and making sure both of us got "the shot". But perhaps my favourite part of all was creating the floral headpieces :) I had no clue what to do, but I stopped at the boutique florist next door just an hour before call time, bought a few fresh daisies, roses, and mums, and jumped right in with the craft wire. Behold the magic!